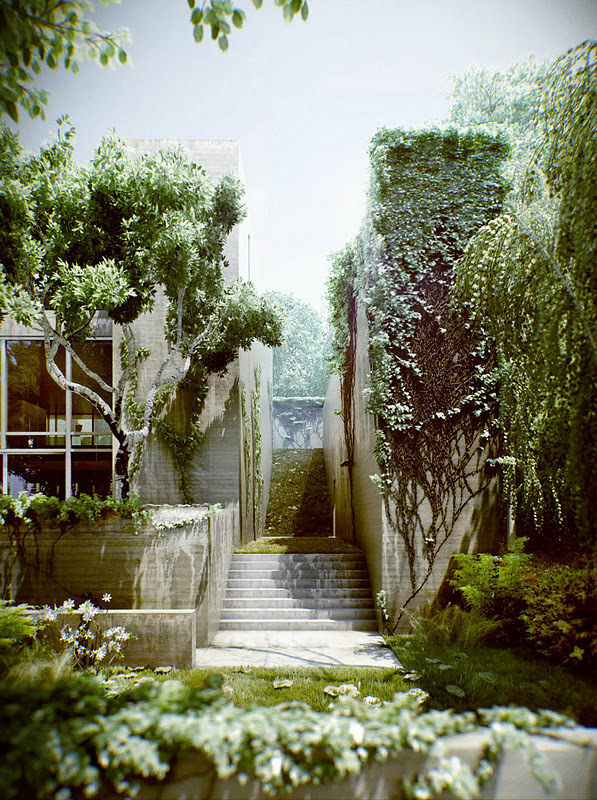 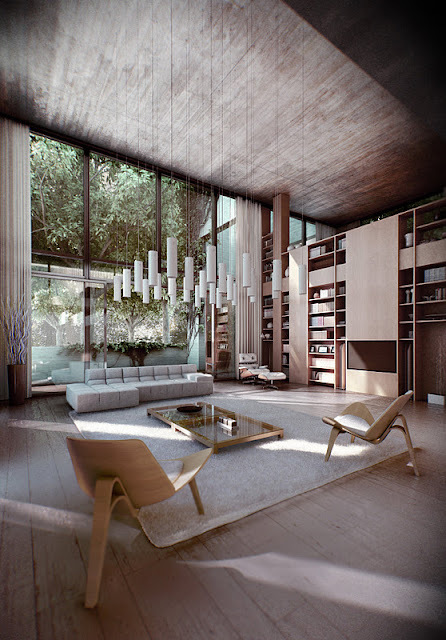 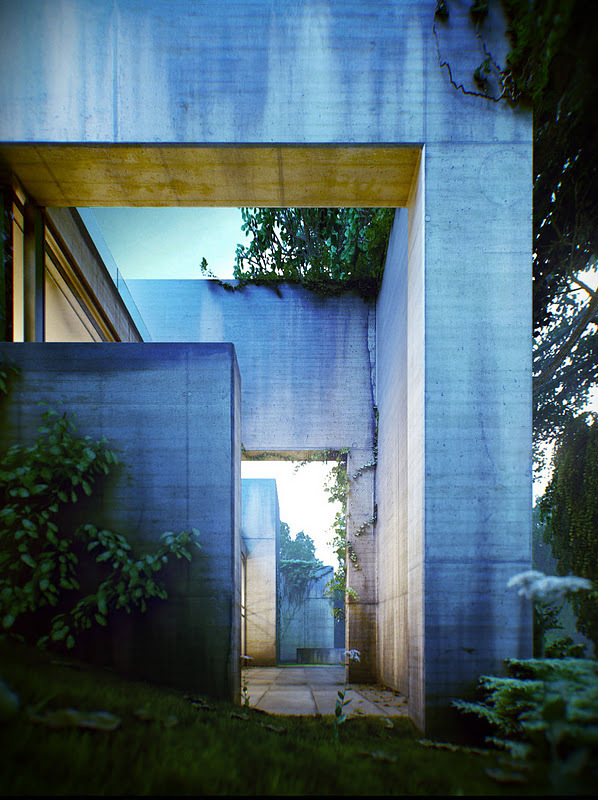 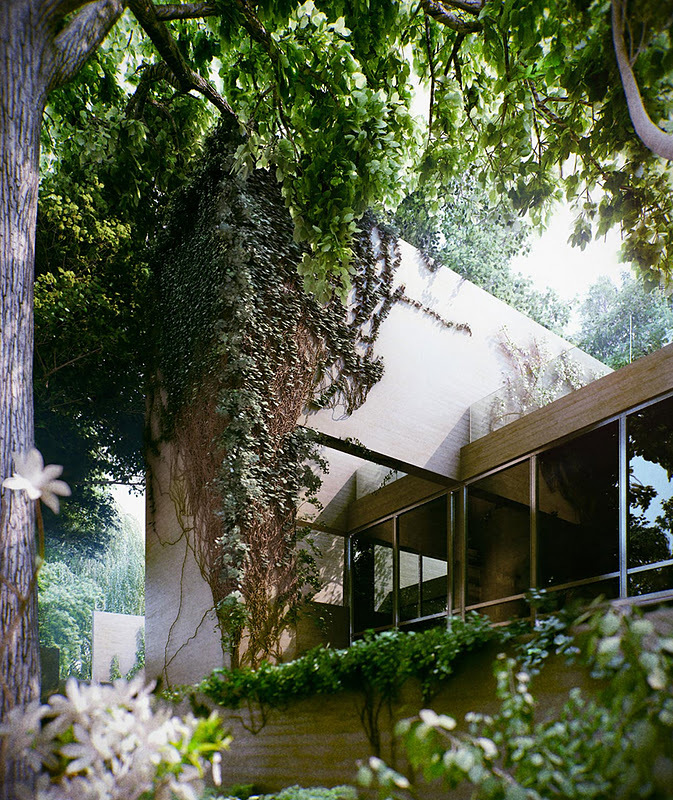 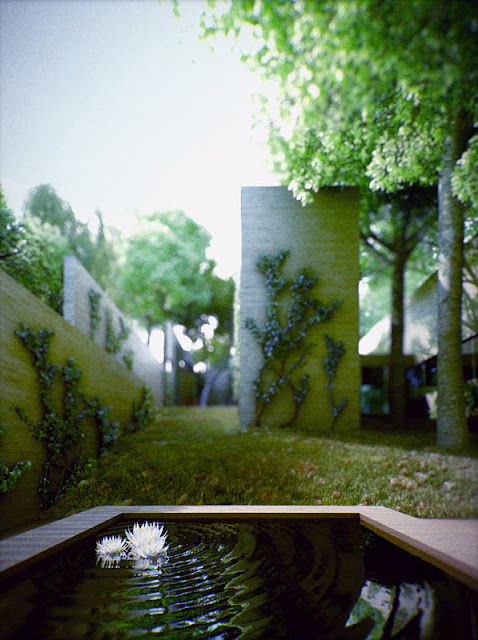 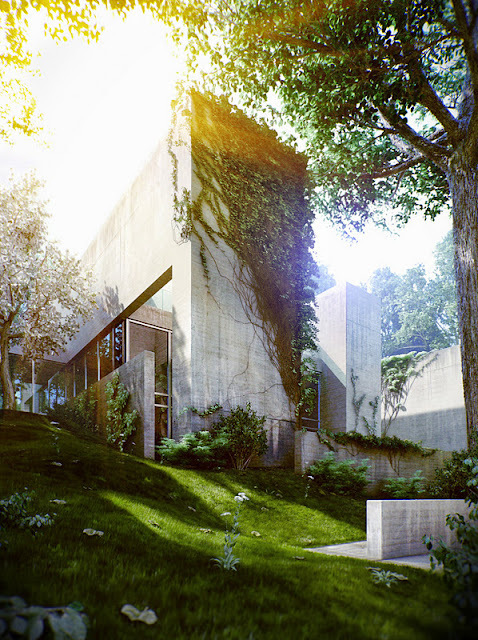 These fabulous renders by Viktor Fretyán showcase a breathtaking forest house, designed by architect Satoshi Okada. Located on the sloping terrain of the Svab Hill, this family residence is home to renowned photographer Tomasz Gudzowatyon. 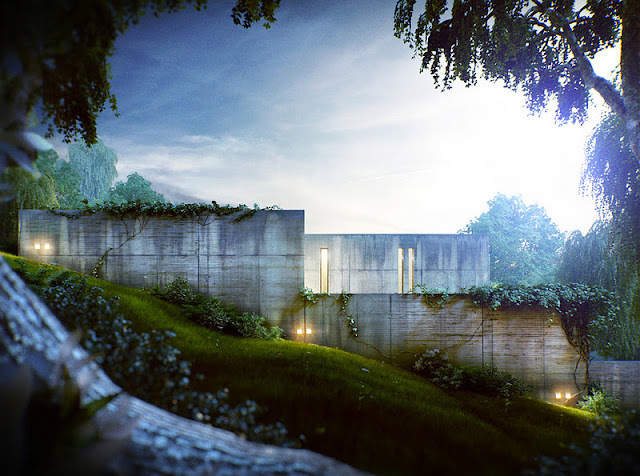 In the heart of the Hungarian capital, on the border of the nature protected Buda Hills, Normafa is one of Budapest’s most visited green spots, boasting panoramic views from 477 meters high. 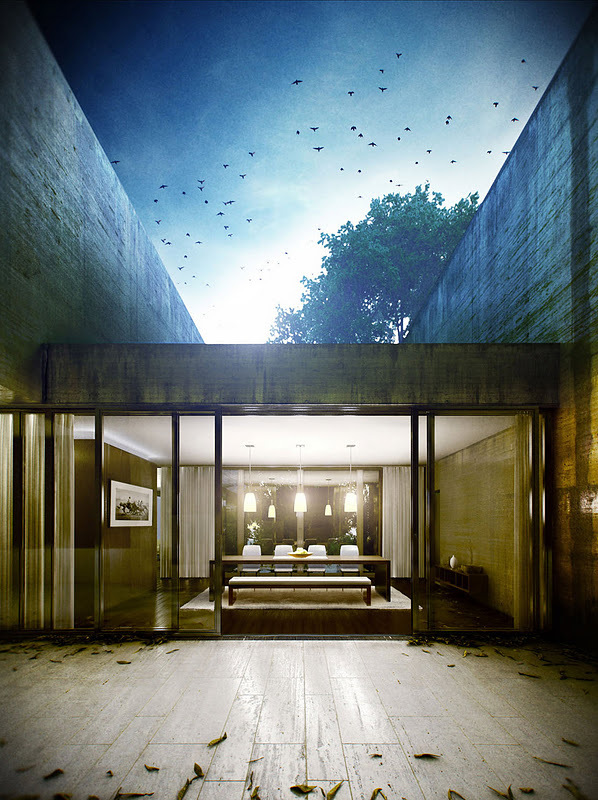 Rich with 200 year old beech trees, the plot has stunning scenery, an environment the architect was eager to maintain. Satoshi Okada carefully composed the building from four slender cores, standing in the intervals of the beech trees, with the cores functioning as both supporting structures, and as boundaries for smaller rooms. Between the cores, the larger living areas are constructed with transparent glass walls, to ensure the magical views can always be appreciated. 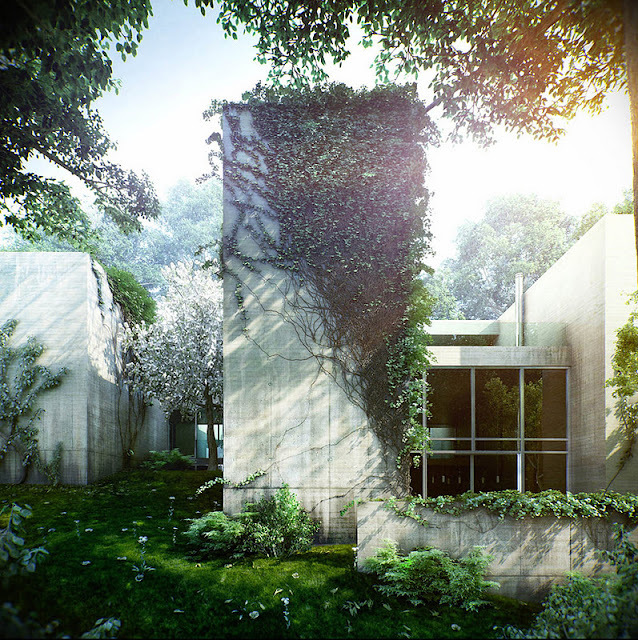 The sympathetically placed volumes of the building enable the reinforced concrete structure to achieve modesty in its beautiful surroundings, and the roof garden blanketing the structure softens it further. We think these wonderful images can’t help but provoke a yearning for nature, even with the hardest of city slickers amongst you!